Piano teachers, learn more about teaching group lessons for recreational players and become an active RMM teacher! Topics include Getting Started, Partnering with Retailers, Three Different Paths to RMM Teaching, How Adults Learn, Teaching Ideas for Advancing Levels, Giving the Gift of Chords, Ensembles, How to Integrate the Traditional Piano Student into RMM Classes, RMM Resources, and presentations by four guest presenters. 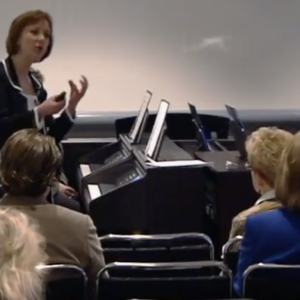 In part four, the final installment of Recreational Music Making, we will hear statistics about how RMM creates new music-makers and improves the quality of their lives; Brenda Dillon discusses the “Best of the Best,” featuring teachers Deborah Carter, Julia Colby, Antoinette Pardon, and Lisa Maddox.